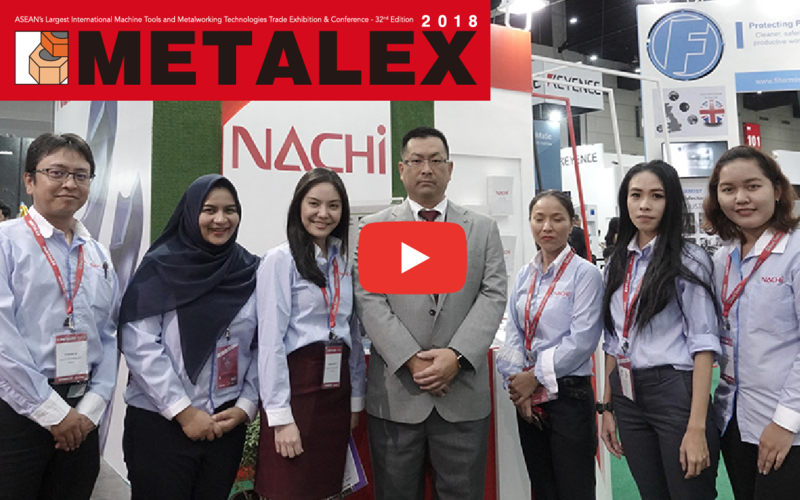 The biggest technical center in ASEAN collecting all NACHI’s industrial robots. NACHI Robot Technical Center has been opened since 7 July 2017 located on the 1st floor of Ocean Tower. This center is in the center of Bangkok where it is very easy to access relying on the concept to grant real experience with real robots to visitors unhurriedly and precisely. Amazing stories of NACHI Robot Technical Center are these!! ✓7 Regular Exhibition Zones : Full ranges of real robot model for all industries. ✓Can touch, feel and experience with real robot : Can observe the most appropriate robot. ✓Opening robot school : Arranging training curriculum based on requests. Various types of industrial robots are exhibited for responding to customer needs from various industries. 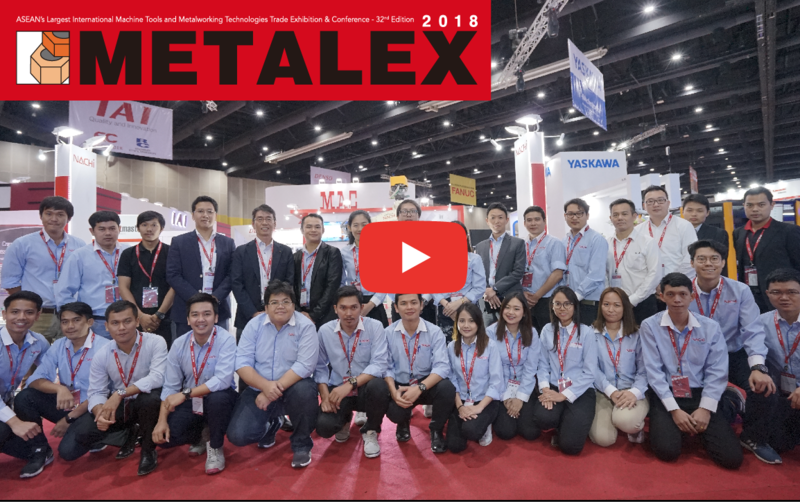 Robots that has been used in car assembly factories are; spot welding robot [SRA210H], interprocess part transferring robot for pressing processes [MC20], packing and palletizing robot [LP180], part polishing and deburring robot [EZ07]. Moreover, there is a zone showing control device assembling process of double arm robot. Exhibition space of Robot Technical Center is about 480 m2 which is the biggest scale in ASEAN region. Visitors can observe and study unhurriedly in very wide space. Visitors can experience by themselves with real robots demonstrated in all zones. This give the chance of experience with real industrial robots while staying in Bangkok. To make everyone familiar and appreciated with NACHI robots more, NACHI has opened robot school to provide knowledge, operation instruction, daily inspection, and maintenance by using real robot for their lecture. 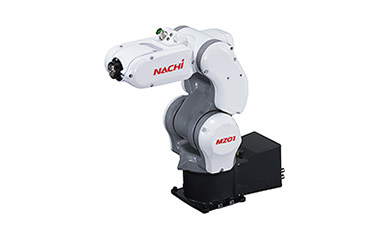 NACHI industrial robots during initial period were large size robot used in automotive industry. Nowadays needs of medium and small size robots has been rising for food, electric and electronic industries. To respond to those needs, NACHI has been preparing the multipurpose compact size robot which can be utilized in many industries. 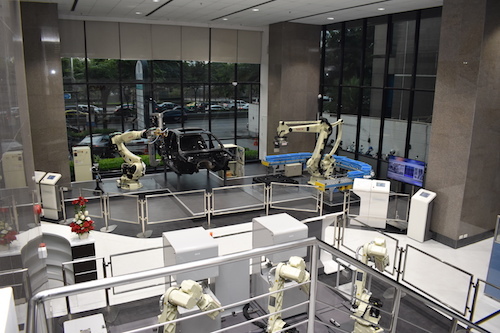 NACHI Robot Technical Center has its concept to clearly show off the functionality, benefits, and effective contribution to labor force saving. This center also aims to create integrated services combining the before- installation service, solution proposal, and after sales service. Moreover, we hope that everyone will appreciate more NACHI robots through the opening of robot school to provide operating instruction, maintenance and other know-hows. All employees mutually and eagerly cooperate to make everyone feel familiar with robot and to make this Robot Technical Center as a connection point for human and human, and for human and robot.